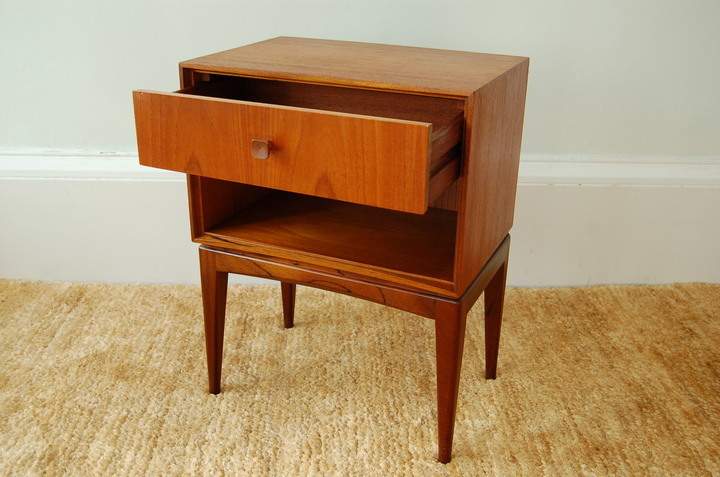 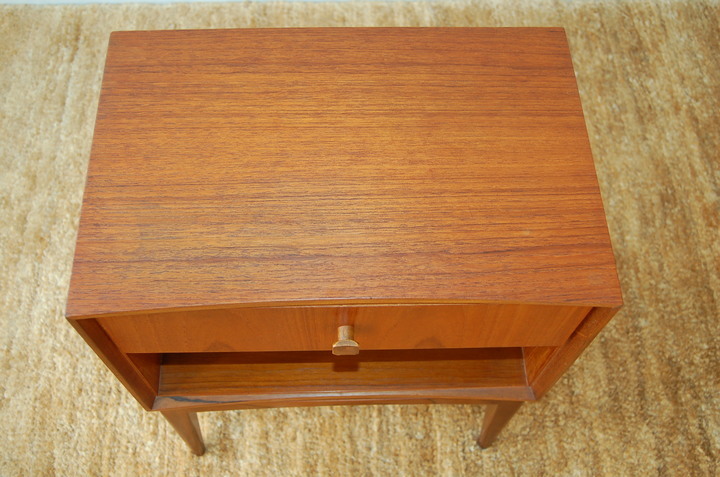 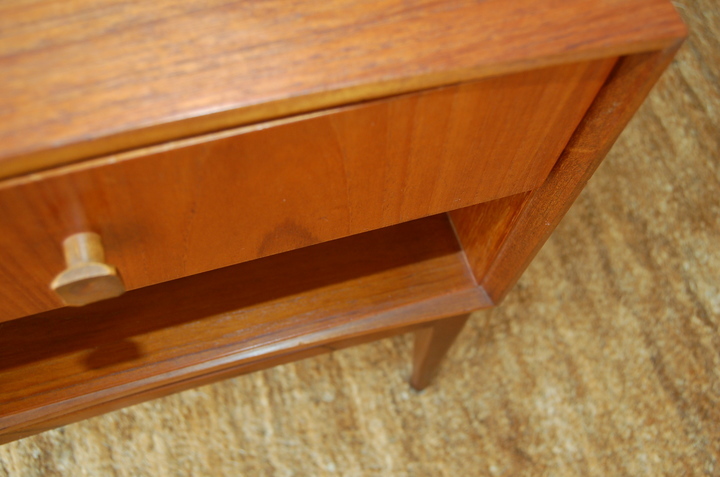 Very stylish, compact teak bedside cabinet, with drawer, on rosewood(?) 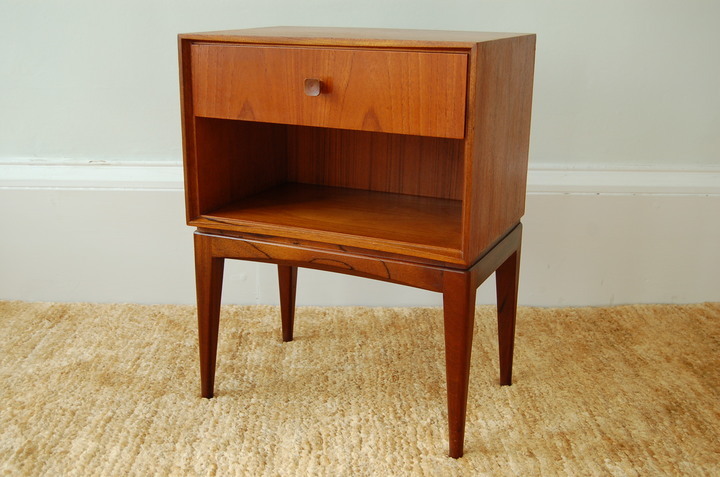 tapered legs. 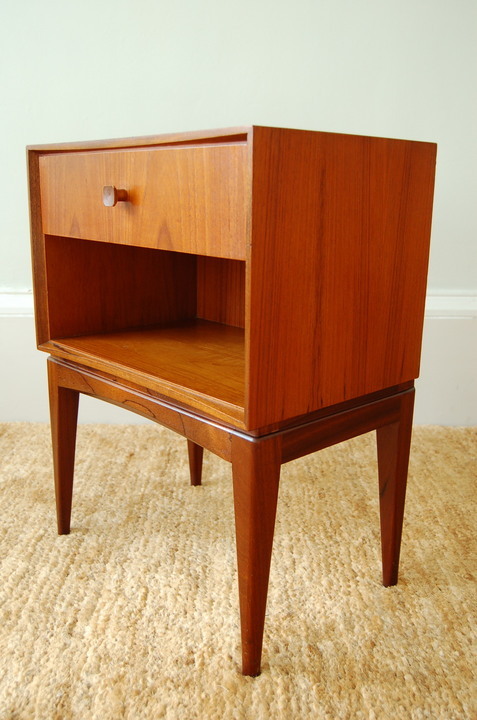 No mark but identified as McIntosh of Kirkcaldy.